James Bellringer qualified in 1982 from Cambridge and St. Thomas’ Hospital, London. 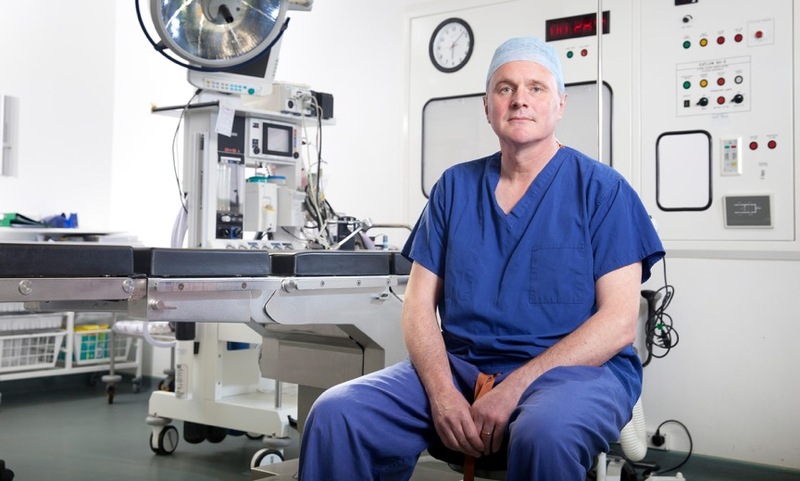 After training in Urology, he started as a General Urologist in West London in 1996, but when Mr. Michael Royle retired, he was invited to come and take over the Gender Surgery service, at Charing Cross Hospital, London. After initial training with Mr. Royle in 2000, he has been working in gender surgery ever since, and with the increase in the gender workload, this has become his primary interest. An irretrievable breakdown with Trust management in 2014 led him to resign from Charing Cross, and he now works privately at Parkside Hospital and the Bupa Cromwell Hospital. Gender surgery takes place at Parkside Hospital. Away from work, he is a keen cyclist (the two do overlap, as he cycles to work, and sometimes visits the ward in his cycling kit) and enjoys rugby. Sadly, he had to give up playing nine years ago. He is married, with three adult children.